BlackBerry, already the leader in smartphone security, has purchased mobile security firm Good Technologies for $425 million. 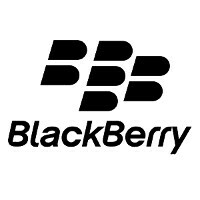 The acquisition will allow BlackBerry to improve upon its mobile device management capabilities, good news for CIOs and IT departments in charge of managing a fleet of handsets that include iOS, Android and Windows Phone devices. Good Technology will help BlackBerry in the BYOD era by offering secure apps and containers for any mobile OS, using technology that has been approved by governments around the world. 64% of the handsets managed by Good Technology's MDM platform are iOS powered, followed by a large contingent of Android and Windows Phone devices. The platform offers users app-level encryption, advanced data loss prevention and secure communication between applications. Good Technology is used by 6200 organizations, including half of the Fortune 100 and all of the commercial banks, aerospace and defense firms in that group. BlackBerry provides secure mobile communications for all of the G7 governments and 16 of the G20. The company also partners with the top ten law firms and global banks around the world. The transaction is expected to close at the end of BlackBerry's fiscal 2016 third quarter and will be be accretive to the company's earnings and cash flow for the first year after closing. A security OEM purchasing another security firm. Makes sense I guess. Blackberry were buying the competitor, so they don't have to compete. Because Android OEM's haven't done this exact same thing, right? Lenovo comes to mind, with the Motorola purchase. BlackBerry buying Good not only ties into their strategy, it also shows that Good just wasn't Good enough. Let's also not forget that companies buy other companies all the time. Apple bought Siri to compete in the digital assistant arena. Google bought Android to compete in smartphones. Microsoft bought Nokia's handset division. What really puzzle me is, IF blackberry really hold 60% of corporate like someone used to say here, WHY would bb buy another company that might only have small percentage? Obviously to eliminate the competition and prove themselves the better. Name one company that wouldn't do this. It's a sound business tactic. You take out the competition by any means necessary. Business 101. Companies also buy other companies to incorporate their technology / patents / IP into their own. Google did it with Motorola. Microsoft did it with Nokia. Apple did it with Beats and with Siri. I'm glad you don't run a business. You'd go bust in under a year with your way of thinking. Great job, BlackBerry. Good Technology was a competitor of BlackBerry in the EMM/MDM space that some actually thought was better than BlackBerry. They took a lot of pot shots at BlackBerry, but BlackBerry got the last laugh. This is good (no pun intended), strategic move for BlackBerry as it extends their dominance in enterprise, security and regulated industries. Also let's the naysayers know that BlackBerry is here to stay, even if it's as a software and services leader in the enterprise and IoT space. I'm gonna end my post with leaving this right here: https://m.youtube.com/watch?v=7Bs0dPdLFnw Kudos, BlackBerry! BlackBerry got the last laugh indeed! I don't see how purchasing a software company got them the last laugh. They're still losing ground in the hardware business. They got the last laugh because Good was a competitor that claimed superiority to BlackBerry's MDM/EMM solutions. And now they're owned by BlackBerry. BlackBerry can also dump handsets tomorrow and be better off for it. Ok I'll take your word for it. Its been said to you about a million times and I'll make it a million and one. Try and keep up: BlackBerry is NOT a hardware first company. They are now a software company that also dabbles in hardware. Blackberry could leave hardware tomorrow and they would still be in business as a software company. They got the last laugh because GOOD was always spreading misinformation about BlackBerry. Much like the way you and your troll ilk do here on PA.
A typical bobbydigital comment filled with ridiculousness and first grade insults. A typical Michelle comment. Filled with absolutely nothing but hot air. Hot smelly air is what I say every time you open your mouth. "Hot smelly air is what I say every time you open your mouth". I think you should re-read and then revise your comment. Just a thought. Smelly breath, me accusing Bobby of spewing bs. You're competent enough, I hope, to put it together. Actually, it reads more like you insulted yourself. You're competent enough, I hope, to notice this. Perhaps you should read again. Reading comprehension is key. Perhaps YOU should read it over again. What you should have typed was "Hot smelly air is what I SMELL every time you open your mouth". Proper grammar is key. Perhaps you should just drop it because you're not comprehending very well. Perhaps you should drop it, because your grammar definitely isn't top notch. Don't blame my "grammar" for your terrible comprehension. Don't blame my comprehension on for your terrible grammar. So everytime you open your mouth there's hot smelly air? We know this already. If you're going to troll at least try to be entertaining. Only you can be an entertaining troll Michelle. You've got that all sewn up! I remember Good on my Treos back in the day. Back then I'd say they were better than RIM's offerings until PalmOS got Exchange Push. Honestly, I didn't know they were still around.